Black Taxi is one of NYC's most prominent live acts, smashing an anything-goes punk ethos together with pop sensibilities, unparalleled energy, and brilliant songwriting. The result is a raucous stage show, heavy on harmonies, spitfire guitar licks, body paint, and all manner of instrumentation. 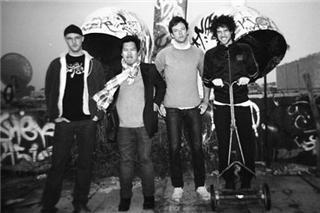 Their style has been described varyingly as "grit-pop" or "dance punk", and though their songs hint at the Talking Heads, Cake, and Daft Punk, they are driven by something entirely new and infectious. BLACK TAXI songs can be heard on radio stations from Maine to California, accompany hit TV shows, provide the soundtrack for film, and hit the airwaves on commercial airlines. 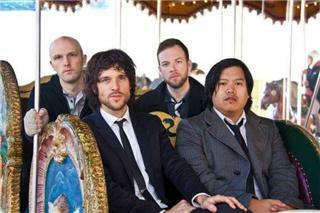 Their most recent music video "Shoeshine" has found a success of its own as an Official Nominee for the Webby Awards.